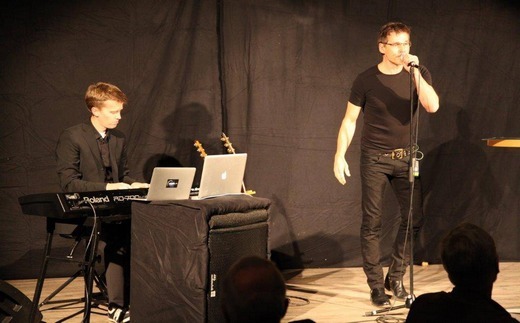 Morten did an intimate solo concert in Hurum last Thursday, October 24th, in connection with a private dinner held for 150 former employees of the local Södra Cell Tofte cellulose factory, which closed its doors in August. A total of 295 people lost their jobs when the owners decided to cease production. “Morten has a personal involvement in this issue. That’s why he wanted to take part. Normally he doesn’t do events like this”, Jan Morten Trønnes of Södra Cell tells newspaper Røyken og Hurums Avis. “He felt sad that the factory had to close, and he can’t understand why Norway doesn’t want industrial facilities that can produce renewable energy”, Trønnes says. The dinner was held in a barn at Grønsand Gjestegård, and Morten apparently performed songs from “his entire career”, including a couple of new ones. He was accompanied by producer Lars Hustoft on keyboard. Magne will be in Karlsruhe, Germany on Tuesday November 5th, to take part in an international symposium called “Choreography Of Sound – Between Abstraction and Narration”. “Since Pete Townsend – inspired by his encounter with Gustav Metzger – in the 60’s made the destruction of instruments into a dramatic live gesture, destruction and decomposition have become as fundamental to rock music as its connection with visual art. More info is available on the symposium’s website. The event is free and open to the public, but reservations need to be made before October 31st. 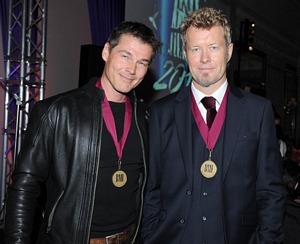 Morten and Magne attended the 2013 BMI London Awards on October 15th, where they were presented with the BMI Million-Air Award, in recognition of “Take On Me” having been played four million times on U.S. radio. A video clip of them receiving the award can be seen here (starts at 03:10). There is also a short interview clip on YouTube. More pictures are available on BMI.com and Zimbio.com here and here. 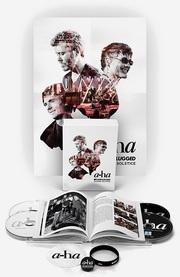 Morten and Magne previously received the same award at the BMI London Awards in October 2007, when the song had been played three million times on U.S. radio.